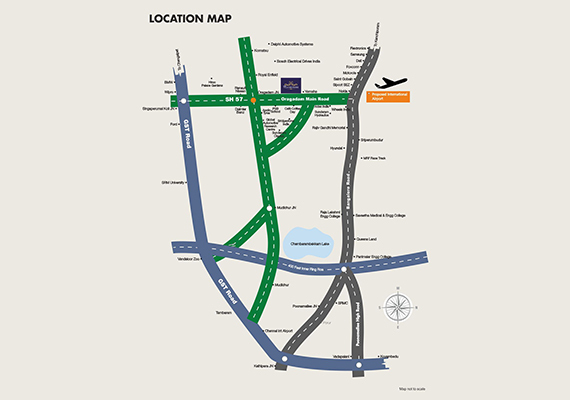 Situated on the periphery of Chennai city limits, Our Residential Plots for sale in Oragadam is well connected and provides easy access to all parts of the Chennai city. It has prominent schools and colleges close by; living in Villa Belvedere puts you right in the middle of the fastest growing metropolis in the country, while offering you peace and calm of a secure gated community. Entertainment avenues, reputed hospitals and shopping destinations are coming up in the vicinity of Villa Belvedere. It provides all the advantages you experience in a megacity without the infuriating traffic and crowds.